Get out of town with these interesting Singapore side-trips: Sentosa Island (Universal Studios Singapore & S.E.A. Aquarium). 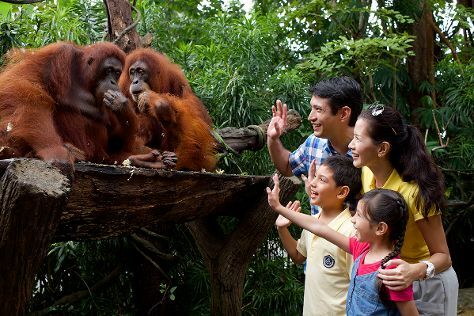 There's still lots to do: admire nature's wide array of creatures at Singapore Zoo, take in the waterfront activity at Marina Bay, pause for some photo ops at Merlion Park, and admire the natural beauty at Gardens by the Bay. To see other places to visit, ratings, photos, and other tourist information, read our Singapore online tour planner . If you are flying in from United States, the closest major airport is Singapore Changi Airport. Expect a daytime high around 91°F in June, and nighttime lows around 79°F. Finish your sightseeing early on the 13th (Thu) so you can travel back home.